Tahoe is pretty much the perfect vacation spot. 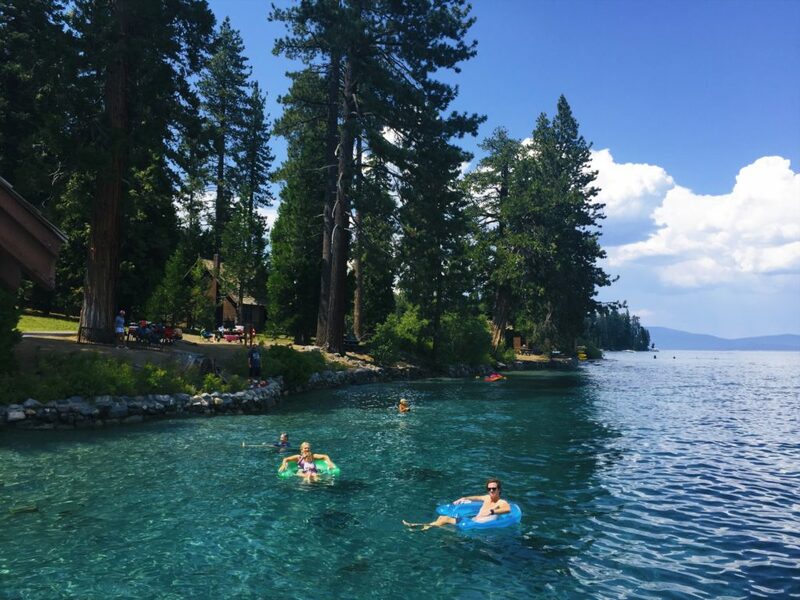 Whether you’re an avid outdoors-person or just enjoy relaxing and reading a book, Tahoe has everything. Growing up in Northern California had its perks. We were just a few hours from Lake Tahoe. When I was little my parents bought a share of a cabin in North Shore Lake Tahoe with some of my extended family. We spent several weeks every summer and winter and nearly every Thanksgiving there. I learned to ski on the bunny hill at Homewood resort. In high school many friends had cabins around the lake and my best friends and I would head there for a few days to hang out at the beach and jump off piers. Some of my most precious memories were made at Tahoe. 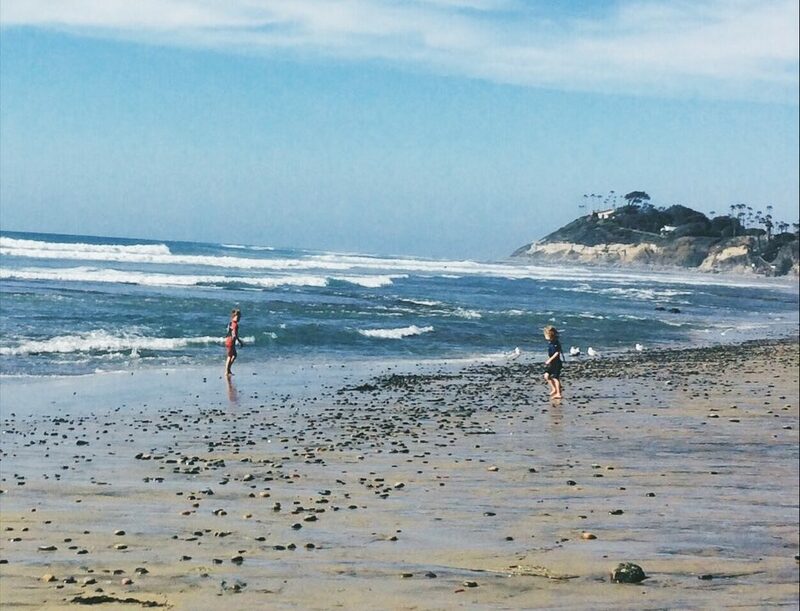 When my brother and I headed to college my parents decided to sell their share in the cabin and eventually we all moved to San Diego. Now, the 11 hour drive makes it pretty inconvenient to visit the lake. 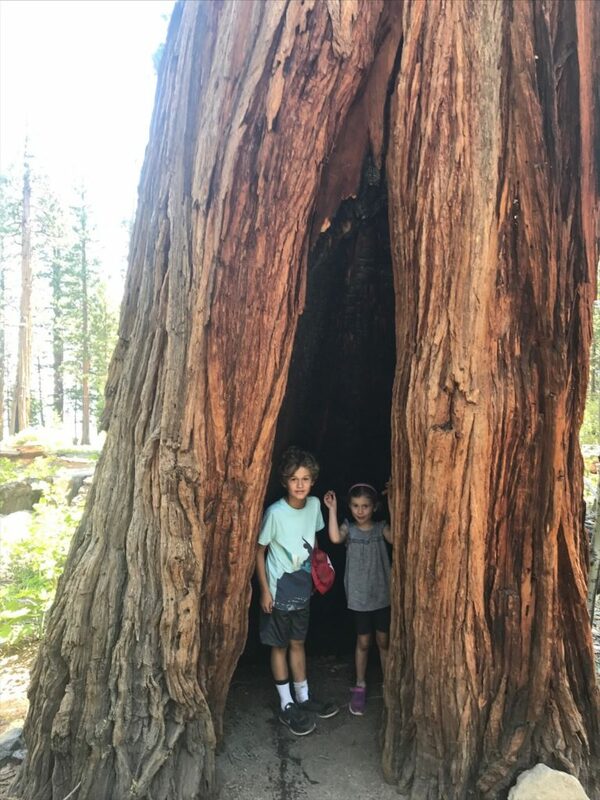 However, I love it so much, I’ve made it a priority to make trips there so that my kids can have some of the amazing experiences I had in Tahoe. It’s so worth it. I really believe it’s one of the most beautiful places in the world. 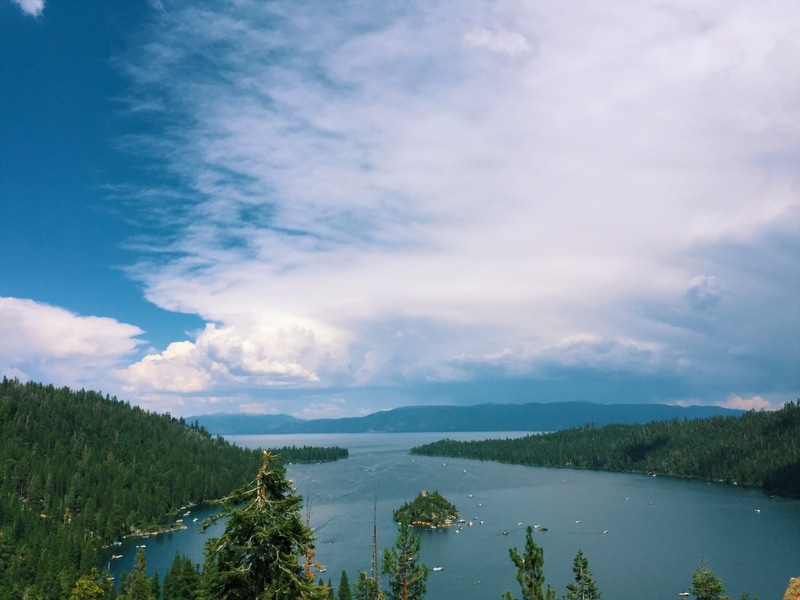 There is so much to do and see in Tahoe depending on your interests. I am most interested in hiking, biking, skiing and finding fun places to swim. If I had a boat I would definitely waterski….with a wetsuit on! 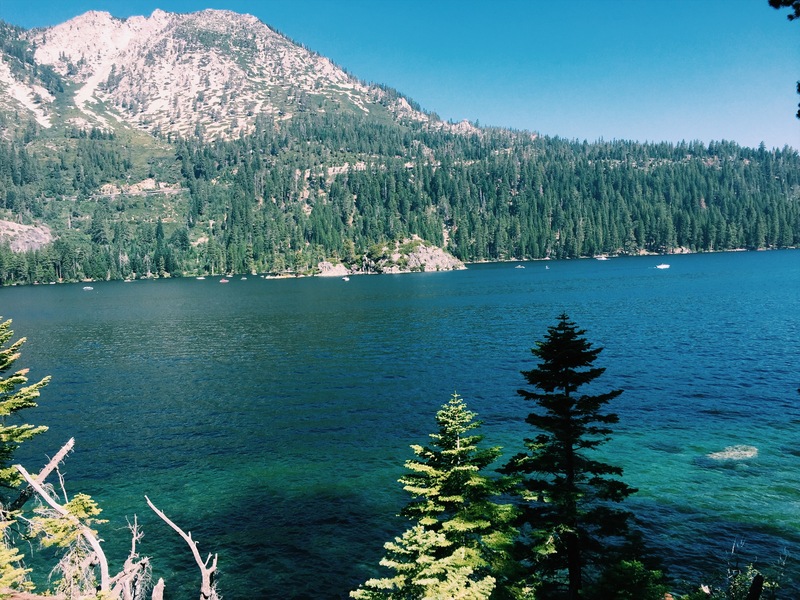 Recently we spent a week in Tahoe, four nights at a family member’s cabin, and three nights camping in Emerald Bay. It was the perfect mix of relaxation and “roughing it” in a tent. With children (ages 5 and 7) our activities are geared around them and things they can handle. 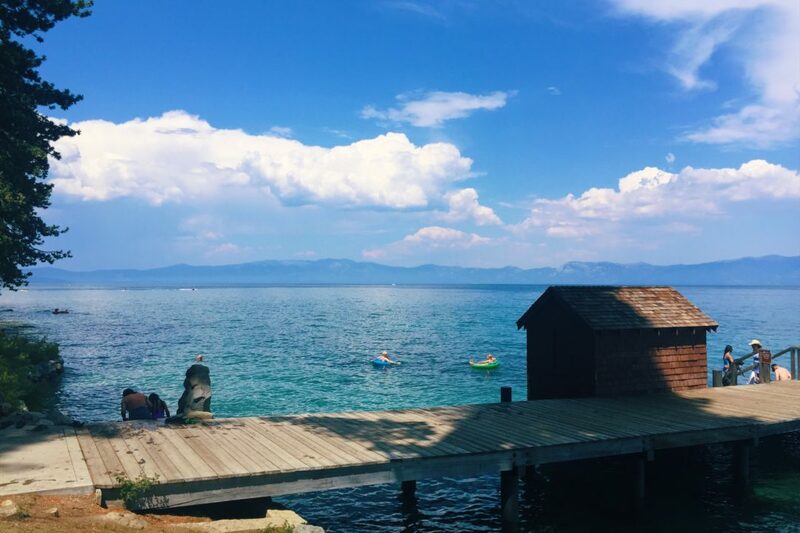 This post dives into some of my favorite things to do and see in Tahoe in the summer. Before I jump into activities a little bit about the lake. Tahoe is in Northern California, a two-hour drive from Sacramento. Its divided between California and Nevada with South and part of East Shore in Nevada and West and North Shores in California. 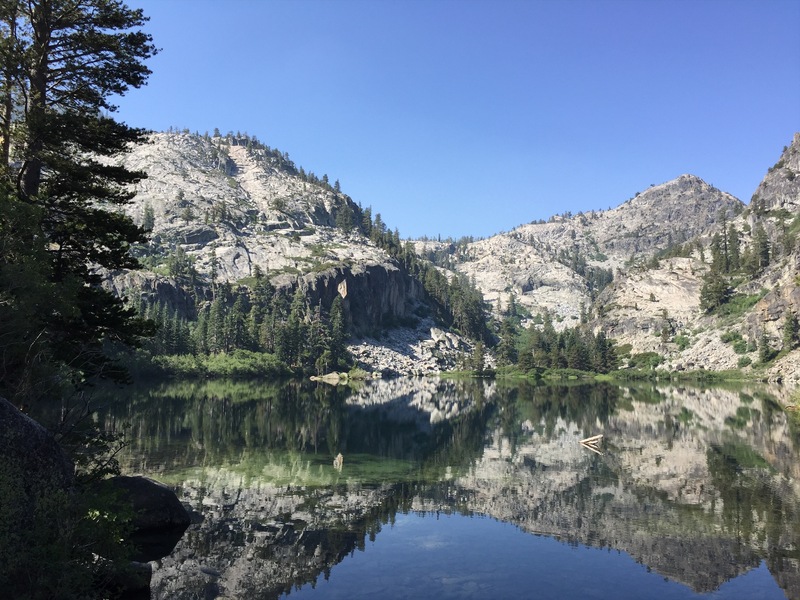 The lake is situated in the Sierra Nevada mountains and features stunning granite rock formations and crystal clear water. 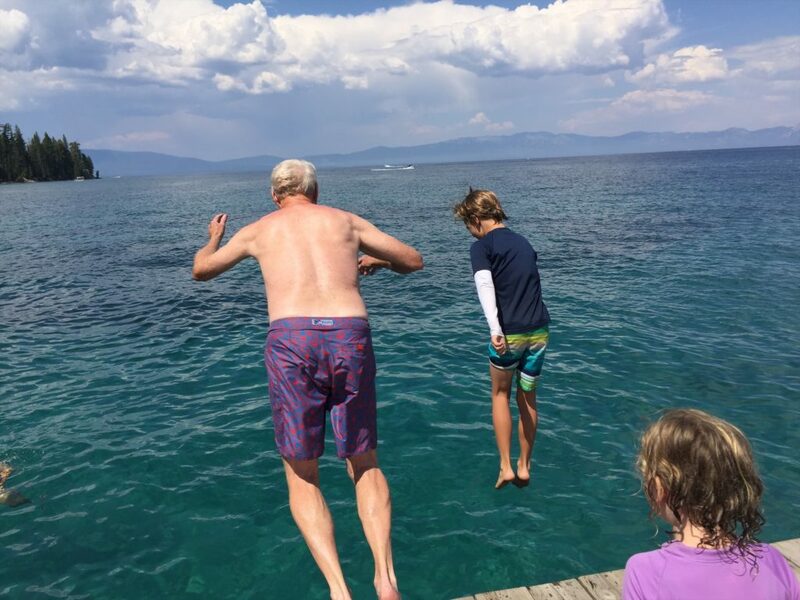 Lake Tahoe is incredibly deep and so the water is really cold. It’s known for its water clarity, and its amazing color. The outdoor sports and activities such as hiking, biking, boating, skiing and snowboarding, rock climbing, camping, offroading and more make it popular year-round. Additionally, on the Nevada side there are many casinos. 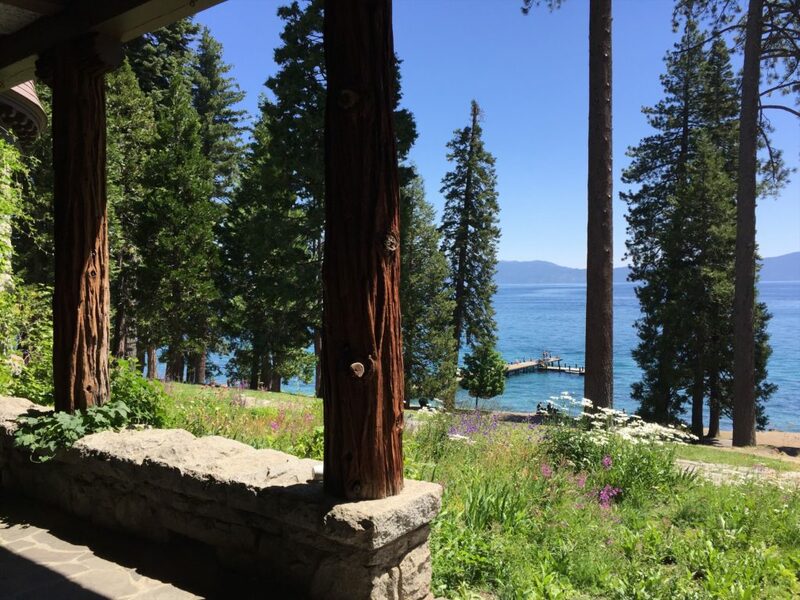 There are lots of options for places to stay in Tahoe including hotels, VRBO and AirBnB cabins, townhouses, little cottages, and camping. In terms of what part of the lake, I think a lot of it depends on your interests. Personally, west shore is my favorite part of the lake but I know many people love other parts of the lake. It’s all beautiful. 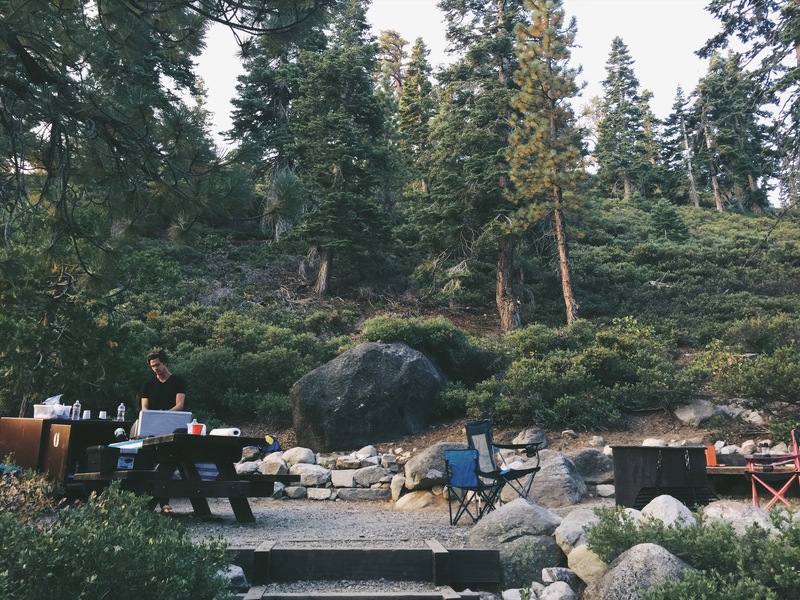 Camping is a fun and affordable way to stay in Tahoe. 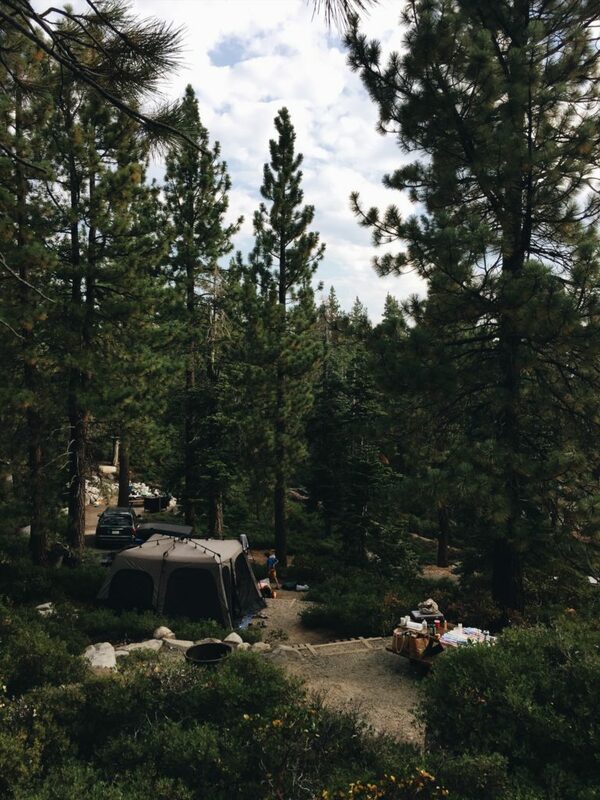 Earlier this year I booked the Eagle Point Campground in Emerald Bay. The campground is fantastic. It underwent some renovations in the past few years and everything is clean, and the spots are nicely leveled. Many of the spots are multi-layered with stairs leading to different sections. Some spots have lake views and a lot of privacy. We had a level area for our tent and then some stairs leading to another level area with the campfire pit, bear locker and picnic table. I am going to do a more in-depth post on the campground later. There are many camping areas in Tahoe. I’ve camped in D.L. Bliss and Sugar Pine Point as well and loved them. Look at the new Reserve California booking system site to reserve a spot. We park in the lot near the Tahoe City bus stop. From there its easy to get on the bike trail along the Truckee river that borders highway 89. We love to pack a lunch and stop a few miles up at River Ranch restaurant. The kids run around and play, we grab a beer and enjoy the view and then bike back. The river is so beautiful and the path is pretty much flat the whole way. Tahoe City serves as the center of a bike path system that offers access to numerous West Shore activities. There are fifteen miles of paved pathways that extend from Tahoe City in three directions. 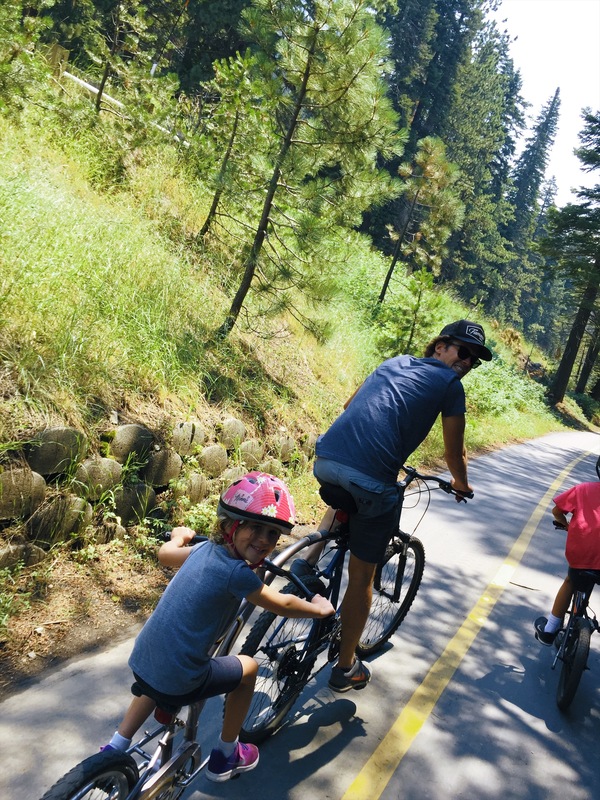 This system of paved trails connects Sugar Pine Point State Park on the south, Alpine Meadows on the northwest and Dollar Point on the northeast. 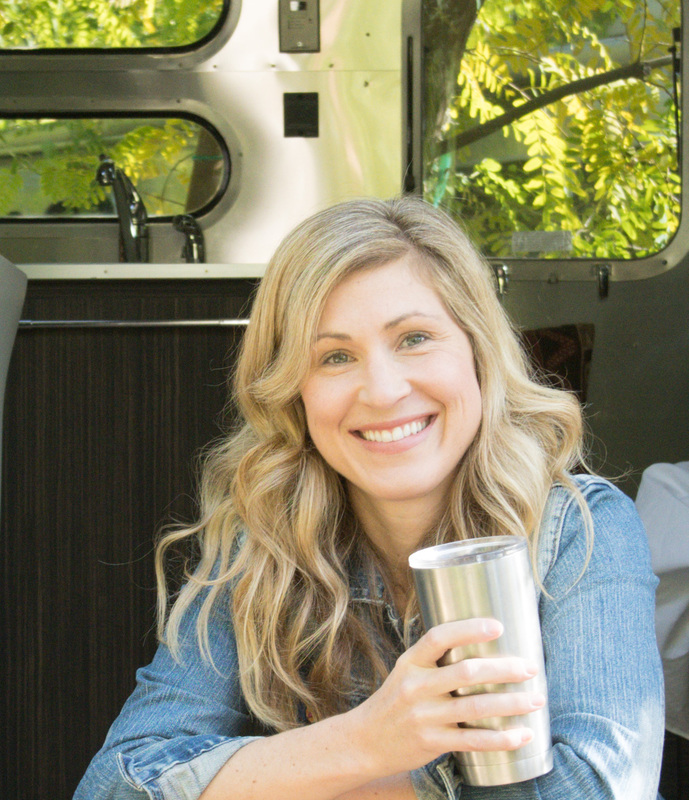 Campgrounds, picnic areas, beaches, restaurants, Sunnyside are found along the way. We love biking in west shore to Sugar Pine point and looking around at the mansion, the boathouse and pier. There are also some geocaches in Sugar Pine that are fun for kids to find. Park at the top of Emerald Bay and walk down a popular path to the Vikingsholm Castle. 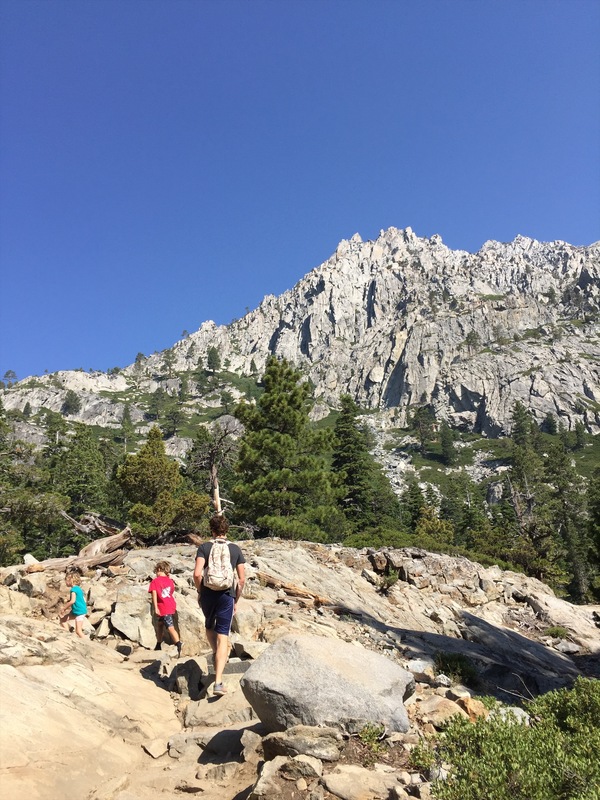 This is easy for kids and families and there is a lot to do at the bottom of the trail including the mansion as well as Emerald Bay’s best beach and pier. Starting from the same point as the Vikingsholm Castle hike, enjoy one of the most beautiful and scenic hikes along the upper part of Eagle Falls. The hike is steep and has a lot of granite rock steps. 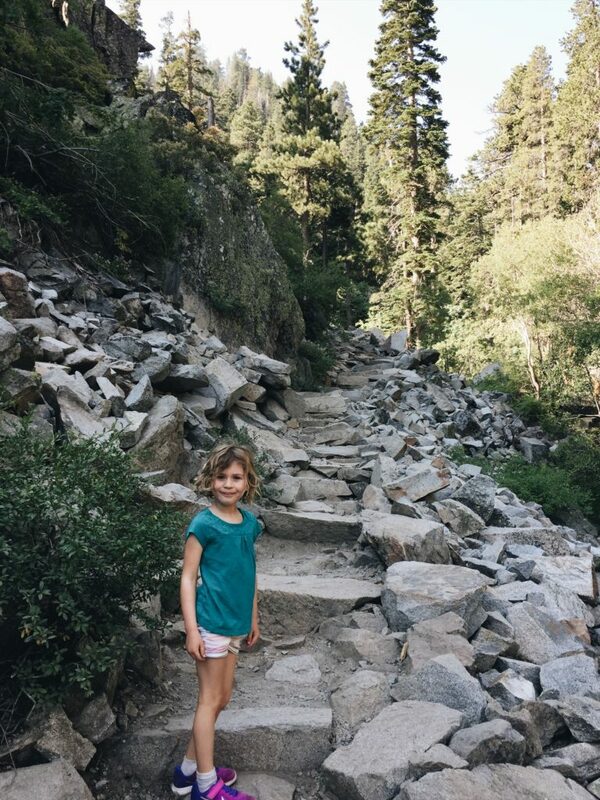 My kids have been able to do this hike since they were three but its steep. The hike ends at Eagle Lake which is beautiful. You can swim and fish in the lake. Definitely head up early in the day during the summer to avoid the crowds and the heat. The Rubicon is my favorite hike in Tahoe because it hugs the coast of the lake the whole way and the views of the turquoise water are so stunning. The full hike goes from D.L. Bliss state park and campground to Eagle Point Campground in Emerald Bay. You can shorten it by going only one way, or by cutting parts of the hike off by starting at the trail going to Vikingsholm Castle. This is such a fun hike. There are some steep inclines but overall it’s a pretty steady pace and incline. My kids have done this a number of times. Sunnyside (Northwest Shore): A few miles south of Tahoe City, Sunnyside has been a Tahoe staple for years. This is my hands down favorite place to eat in Tahoe. 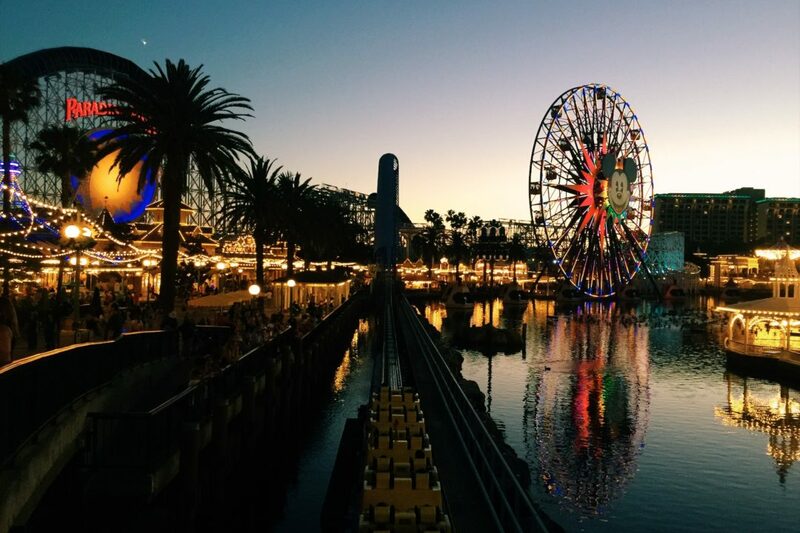 The views from the deck, the pier and the food are all fantastic. PDQ (Tahoma, West Shore): We don’t leave Tahoe without a visit to the PDQ market for one of their amazing sandwiches. They have homemade rolls (the jalapeno cheese is our fav). We love getting sandwiches, chips and some fruit to take either to the beach or on a bike ride. Located at the base of Emerald Bay, this “castle” was completed in the 1920’s as a summer home. Today it’s a landmark and museum. Guests can book tours to view the Scandinavian-designed home. San Francisco businessman I. W. Hellman began built a summer home, called Pine Lodge in 1903. It used to be considered to be one of the finest in the high Sierra. We come here often because not only is it a great end point to the bike trail but its fun to see the mansion and to swim off the properties amazing pier. There are tours you can pay for of the mansion as well as a free nature center with lots of animal and local plant life information. There are several other great historical sites to check out such as the Tallac house in South Shore near Camp Richardson. Let me preface this with a disclaimer that Tahoe is cold. Really cold. Early summer especially can be nearly un-swimmable. But as the summer goes on, it gets warmer. 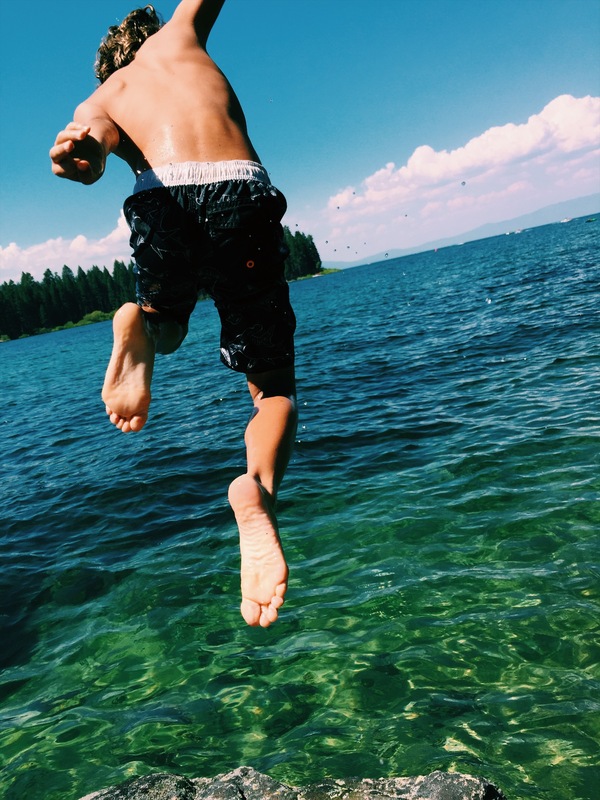 While you can jump off a dock from pretty much anywhere around the lake there are some good spots to swim. Here are four of my favorites. Meeks Bay in West Shore has a great beach with sand that’s perfect for a day of fun in the sun. It also has a campground so check that out if you want a great spot with beach access. Parking does fill up quick in the summer so come early. Emerald Bay is so beautiful. If you hike down to Vikingsholm Castle be sure to bring a lunch and your suits because there is a great beach and pier. You can either park on the road for free or pay a fee to park in the lot. On the East Shore is great spot for swimming called Sand Harbor. As a kid, we would drive there because the clear shallow water was relatively warm. We loved doing beach days there. Its incredibly popular so definitely get there early to snag a spot and parking. Tahoe has so much to offer, this is just a tiny bit of what you can do in the area. 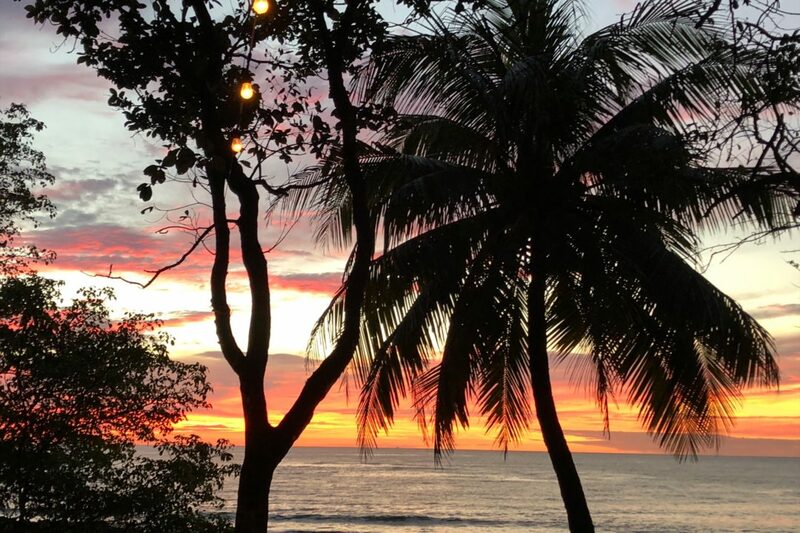 There are so many more fun things to do like mountaineering and rock climbing, renting boats and sea dews, fishing, and more. Be sure to do some research to learn more.